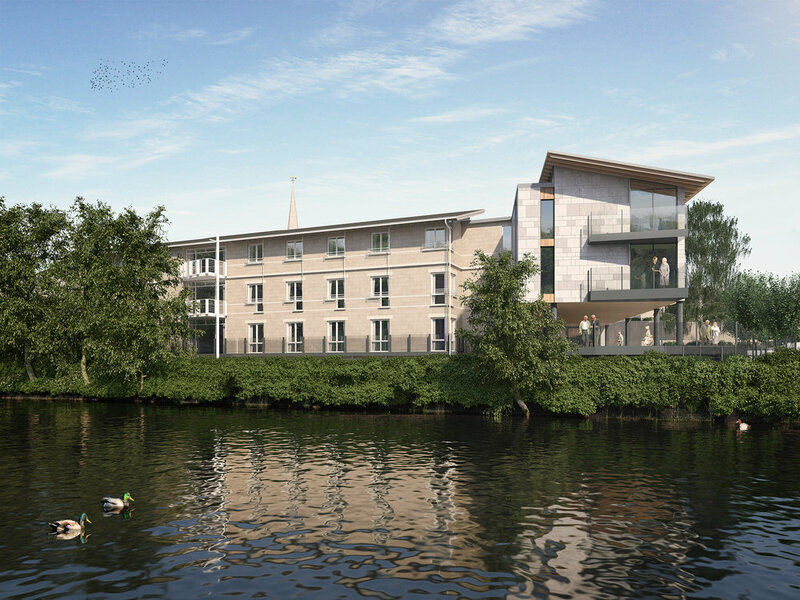 Bridgemead is a residential and nursing home by the river in central Bath, caring for vulnerable older people and their families. We were tasked with listening to the charity's needs when designing a flood defense plan, at the same time as looking to extend the building within a constrained setting. The Bridgemead project was a great opportunity to contribute to our city and work towards a great cause with a key local charity. The project required solving a design challenge to provide extra space for the home on a tight site, and to overcome the very real technical problem of how to protect the site from the raising river levels of the Avon. It was hugely satisfying when our designs were received so positively. Learn more about our work with Bridgemead by viewing the video below, where architect Emma McDermott discusses the plans for the care home.